Back in March of 2011, I sat down for a conversation with alternative musician Lou Barlow (see photo, middle) prior to an appearance by his group Sebadoh at the Pearl Street Nightclub in Northampton. Since that time, Barlow has returned to the Pioneer Valley on several occasions, including an appearance at the Calvin Theatre in Northampton with Dinosaur Jr for a concert benefitting the Whole Children organization of Hadley, and a second appearance at Pearl Street with Sebadoh in August featuring the group touring behind its first newly recorded music in 14 years. Now fresh off the release of Dinosaur’s newest album, I Bet On Sky, the third record since the original line-up’s reunion in 2005, I caught up again with Barlow as the bassist prepares to join guitarist J Mascis and drummer Murph on stage Wednesday for another show at Pearl Street with a portion of proceeds going to The Common School in Belchertown. 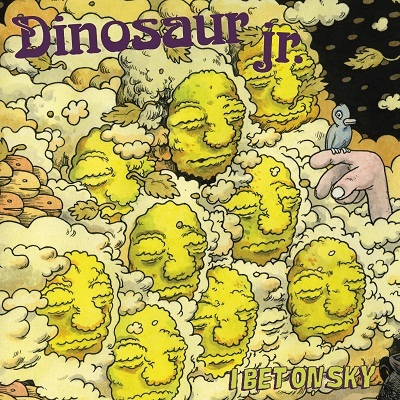 If early audience reactions to Dinosaur’s new material are any indication, the band seems to have risen to the challenge. According to Barlow, the group has been playing more new songs on tour than ever before. And set lists have been well-received, with a few surprises from throughout Dinosaur Jr’s career and beyond being played live on stage. Still, despite all this focus on new material, Barlow notes that there’s another event on Dinosaur’s calendar that will see the band looking back into its past instead of towards the future. On December 1st, the band will be playing a special show at Terminal 5 in New York City to celebrate the 25th anniversary of its 1987 album You’re Living All Over Me. Special guests like Kim Gordon of Sonic Youth and guitarist Johnny Marr have already been announced as participants in the concert, and Barlow is excited to revisit one of his favorite records. In addition to his upcoming plans with Dinosaur, Barlow also can’t wait to get back into the studio with his other band Sebadoh to follow-up on the material the group recorded for its “Secret EP,” which was sold during stops on its recent summer tour, as well as possibly work on some songs for a solo release. As for any final thoughts he’d like to leave with fans in Western Mass who are thinking about attending the Wednesday show at Pearl Street, Barlow wants to give a shout out to one special person in particular who’s been there from the very beginning. 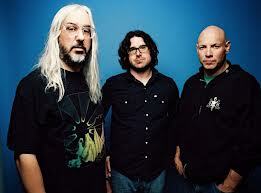 Dinosaur Jr with opener Hush Arbors, Nov. 28, 8 p.m. $25, Pearl Street Nightclub, 10 Pearl St., Northampton, (413) 584-7771, http://www.iheg.com/pearl_street_main.asp.